Emergency services were called in the early hours of the morning after receiving reports of a casualty seen near the line. A spokesperson for British Transport said: "Shortly before 4.10am today (16 April) British Transport Police were called to the tracks close to Brighouse station following reports of a casualty on the tracks. 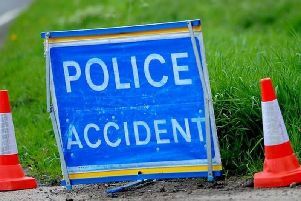 Rastrick firefighters were called to Lillands Lane at 5.30am, to reports of a collision between a train and a motorbike. A BTP spokesperson said an investigation is underway to confirm the exact events leading up to the incident, but a push bike and motorbike were recovered close to the scene. All lines between Halifax and Huddersfield were blocked due to emergency services dealing with the incident on the track. 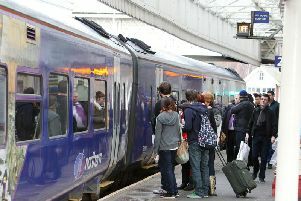 Train services between Huddersfield and Leeds via Brighouse were being diverted due to an emergency incident. National Rail said disruption was expected until 10am. The line between Halifax and Huddersfield was completely blocked, train operator Northern said. The operator has now confirmed that all the lines are back open.